Indian Prime Minister Narendra Modi turns 67 on 17th Sep 2017. India shower him with Wishes and greetings on his twitter and Narendra Modi App. As we all wants to make our Birthday special so our PM too wants to make his day special. With this motive Shri Narendra Modi the visionary PM of India is ready to handover Sardar Sarovar Dam on Narmada River in Gujarat Today. Narendra Modi ji will inaugurate Sardar Sarovar Dam in Ahmedabad today. After this PM Modi will be address nation from Gujarat. Sardar Sarovar Dam is India’s biggest and world’s 2nd biggest Dam. Sardar Sarovar Dam was the dream project of Sardar Ballabh Bhai Patel and took years to be completed. 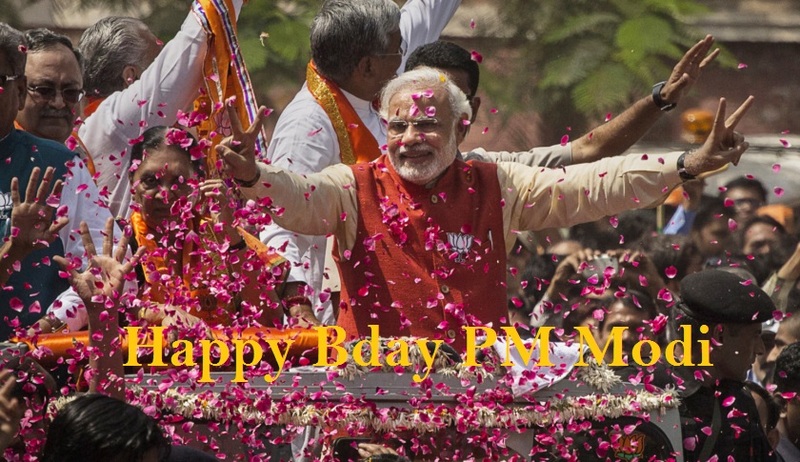 Shri Narendra Modi turns 67 Nation took to social media to greet our honorable prime minister a Very Happy Birthday. Here i am going to share some of the Politician and Famous Personality’s tweet on Narendra Modi’s B’Day. Suresh Raina Tweeted” You Motivate and drive people to be their best..You touch so many lives everyday..wishing a wonderful Day. Sir Ravindra Jadeja’s tweet on PM’s Birthday”Happy Birthday to one of the biggest leader of the world and we are proud to say that he is our PM Narendra Modi. You can Also wish Shri Narendra Modi Birthday on his social Media accounts.